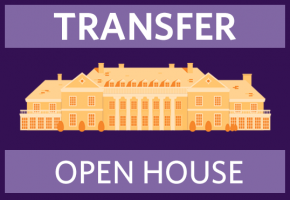 Students interested in transferring to Stonehill are invited to attend a Transfer Open House! You’ll learn about the admission process and financial aid, meet students who successfully transferred to Stonehill, and take a tour of our beautiful campus. • Which courses Stonehill will accept for transfer credit? *Stonehill hosts occasional on-campus events specifically for students interested in transferring to the College. Transfer candidates are also welcome to take advantage of any of our regularly scheduled visit opportunities.